My daughter was so disappointed when I told her that we would be doing preschool at home this year. She loved her year at preschooler, and she wanted to return. But I reassured her that we’d have plenty of preschool fun. I was surprised, then, to find her completely resistant to the idea of a set preschool time at home. I’ve had to modify my expectation of at-home preschool, and as a result, my active preschooler is much more happy with our new version of school time. Homeschooling an active preschooler is more about expressing and showing a love for learning than it is about making learning a formality. What is an “Active and Creative Preschooler”? She did not slow down once she was born, crawling fast at five months, and going from crawling to running when her body was strong enough to do so. I did not realize just how not active my oldest child, Raisin, was until I had my second, Strawberry. This is a girl who does not stop moving (by choice) all day long. She has things to say. She has moves to show. She has things to do. My daughter can be still. During her year of preschool, the teachers told me that she stayed on the floor during story time. She listened to the rules and did the activities. At church, she does still stay in her primary class and listen to her teachers. But when she is finished with these “quiet times,” she is ready to move! She bounces up from her chair at lunch time, or walks in circles around me after church meetings are over. She has bottled up all of her energy being “good,” and she really does need an outlet once she is able to do so. What I’ve noticed is that most preschoolers are like this. They have this innate need to move. They have so much to say, and they struggle to keep it in while they raise their hands. They have energy from their growing muscles that are aching to stretch and touch. Not every kid is quite as active as my Strawberry girl is. As I said, my eldest, Raisin, was much more calm and still. He still is. In general, though, this need to talk and move is what it means to be 3, 4, and 5 years old. Here’s how to make an active preschooler totally miserable in your home. Assign a set time for school (i.e., start at 9 a.m., then craft at 9:30 and snack at 10, with outside time at 10:30). Assign a subject or theme for the day or week. Try to force handwriting and/or letter learning. In short, if you want your little one to be miserable, try to recreate a preschool setting in your own home using your own play room and toys as a preschool room. If a preschooler is an active and creative child, this is simply not going to work. OK, so if we don’t recreate a preschool schedule at home, how does one homeschool a creative and active preschooler? Homeschooling preschool is all about creating and encouraging learning moments and being present for the moments of discovery. I do assume that my daughter and I will have preschool at some point after breakfast. We do sit, as a family, and read scriptures together for 10 minutes. We do clean up the kitchen and prepare for a day. But I don’t follow a clock when we’re done with these tasks and say, “let’s gather for preschool.” Instead, our learning moments come as I spend time with my little one. I do plan to spend time with her in the morning, at least an hour. We will play something together. Sometimes the power of suggestion works wonders. I will suggest a book to read or an activity I saw on Pinterest that I believe she will enjoy. That said, I follow her lead. If she says no, we often do what she says instead! I practice the art of strewing. This means I provide activities or books that are simply “strewn” about the playroom. I drop the names of activities into my conversation. If she sees it and has interest, then the activity may be a go. If the activities are her ideas, it will be most successful. For example, when I requested Rapunzel books from the library, she saw them and expressed interest. Then I suggested we make a LEGO Duplo block tower like Rapunzel’s. She gave me her own requirements for the activity and she begged to do it. I also try to find something hands-on to do with the learning. My son, Raisin, loved board games. I made tons of those for his early learning years, from one about the explorers to the Coral Reef to many others. But Strawberry needs to move her body, so we tend to move things outside (if possible) or get our hands dirty. Or, maybe we’ll just dance in the middle of our science lessons or play hide-and-seek when we learn about maps. I’ll also note that we get together with friends frequently too! Many of the lessons that my preschool need to learn are social in nature: how to share, how to be nice, how to get along with and play with other people. We also keep it short if it is a more formal lesson. Kids Strawberry’s age do not need long lessons. They need brief introductions to a vareity of things. Anything formal (such as learning about the continents or actually learning that there are phases of the moon) will probably last about 3 minutes. Five minutes if it particularly fascinates her. For my active girl, our at-home preschool is all about learning to love learning and learning that I love her. She is a special and unique child with lots of energy. Homeschooling preschool should reflect her young age. What is not to love about all that? At-home preschool is so much fun, now that I’ve learned to loosen up and enjoy just a bit. Do you like this post? Pin it for later! Want more ideas for how to homeschool resistant learners? 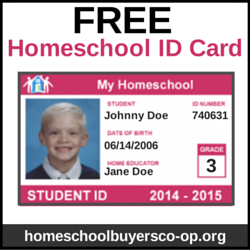 Click over to the iHomeschool Network for more.